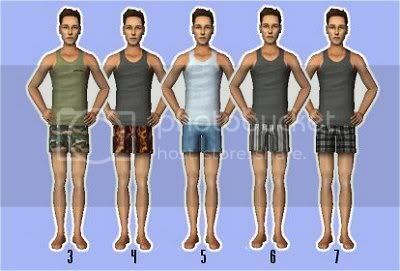 My teen guys needed some variety in their sleepwear, so here are a few shorts and tanktop combos. Hooray! My teen guys needed some variety, too! Thank you, thank you, for not forgetting our teen males...might i be so selfish as to ask you to try your hand at some Hanes normal briefs for these kids who don't like boxers?...or, maybe they are already available somewhere and i haven't seen them?...anyway, thanks for your work!